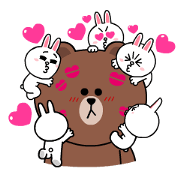 Use these romantic stickers featuring Brown and Cony to fire up the love in all your chats. The adorable couple is ready to prove that love conquers all. 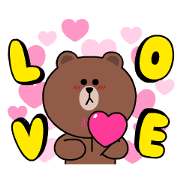 The set includes plenty of cute stickers perfect for your daily chats too!